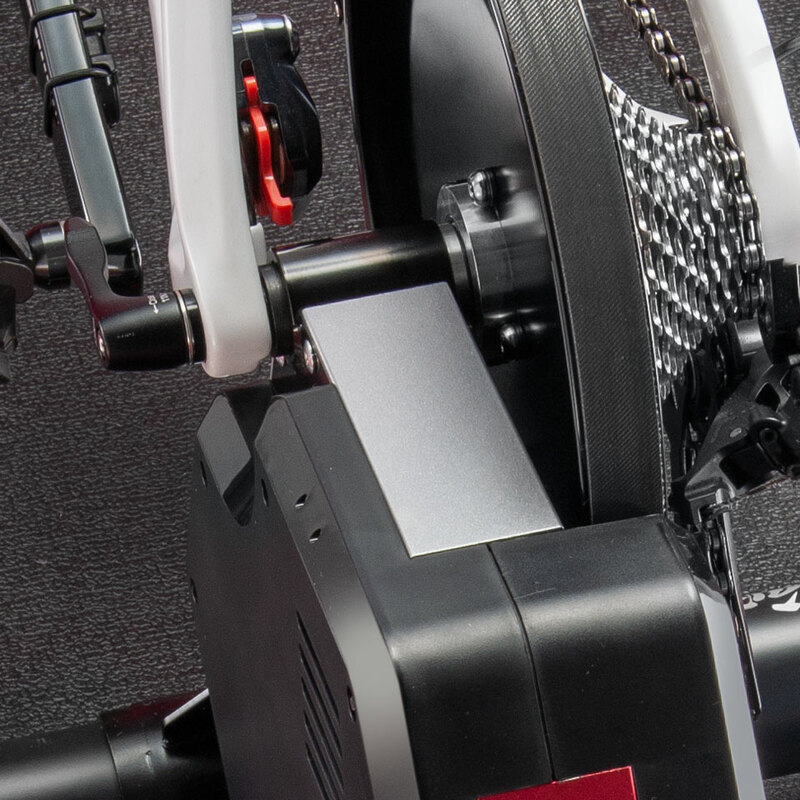 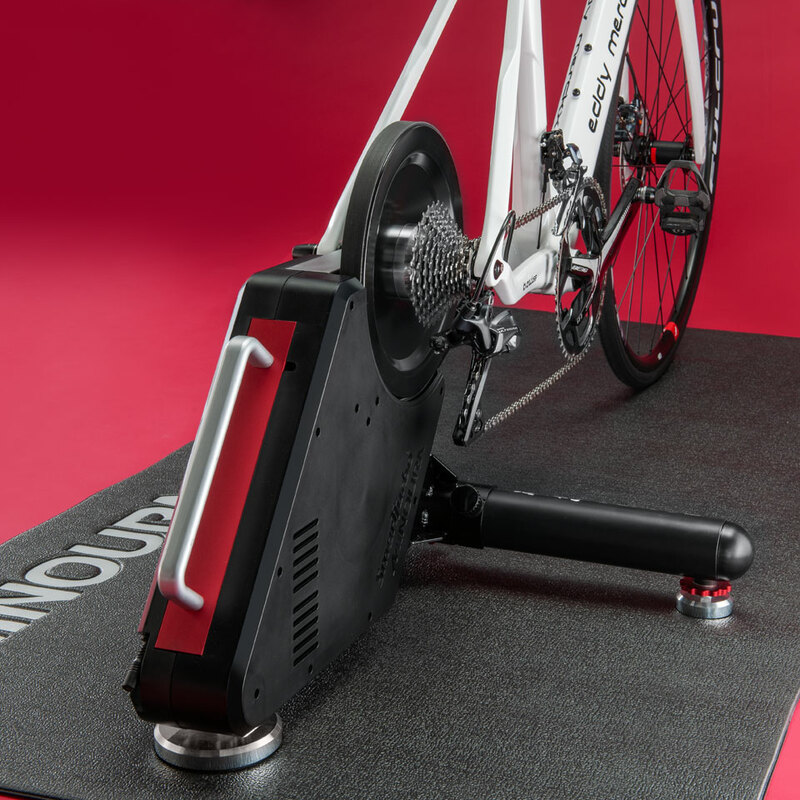 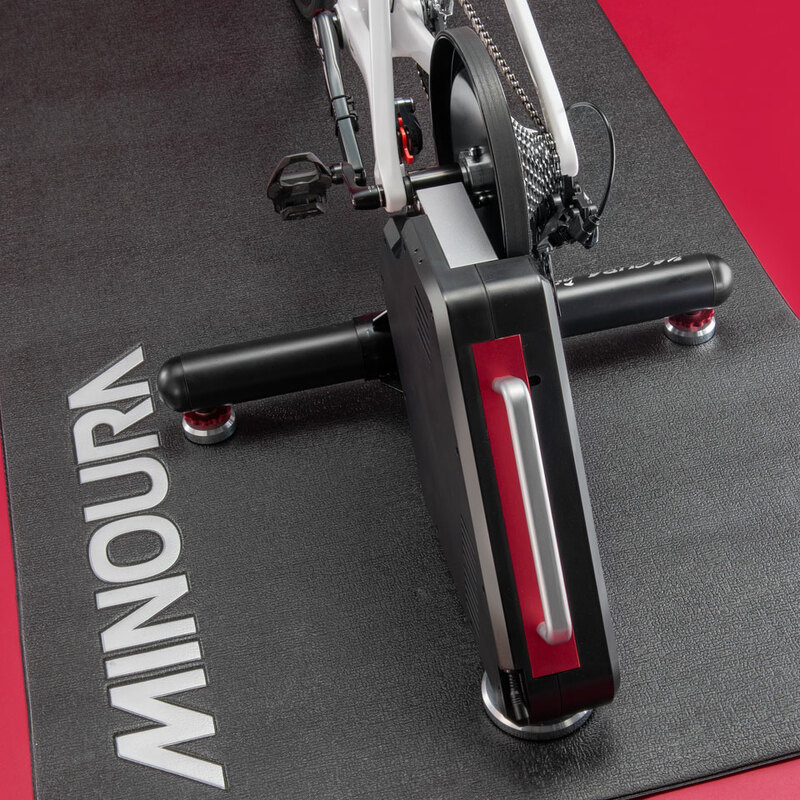 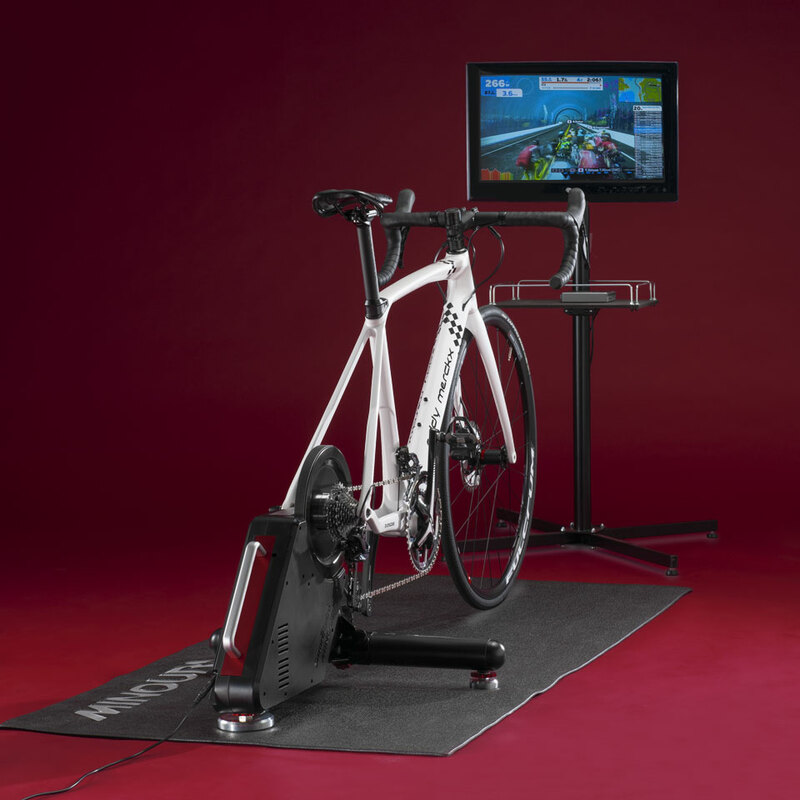 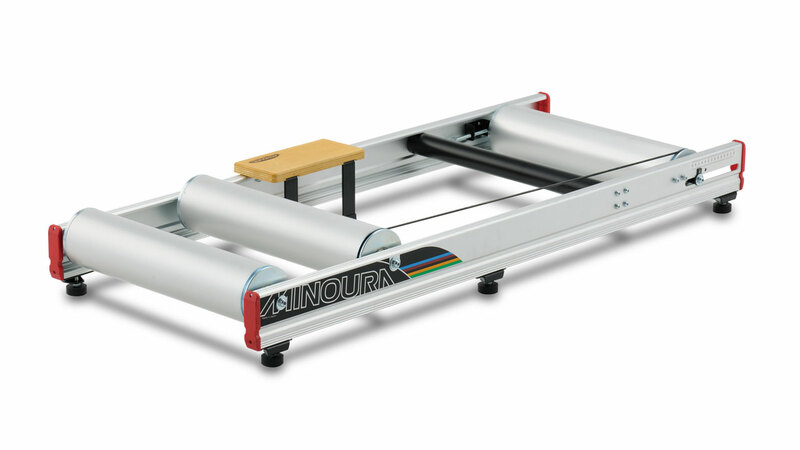 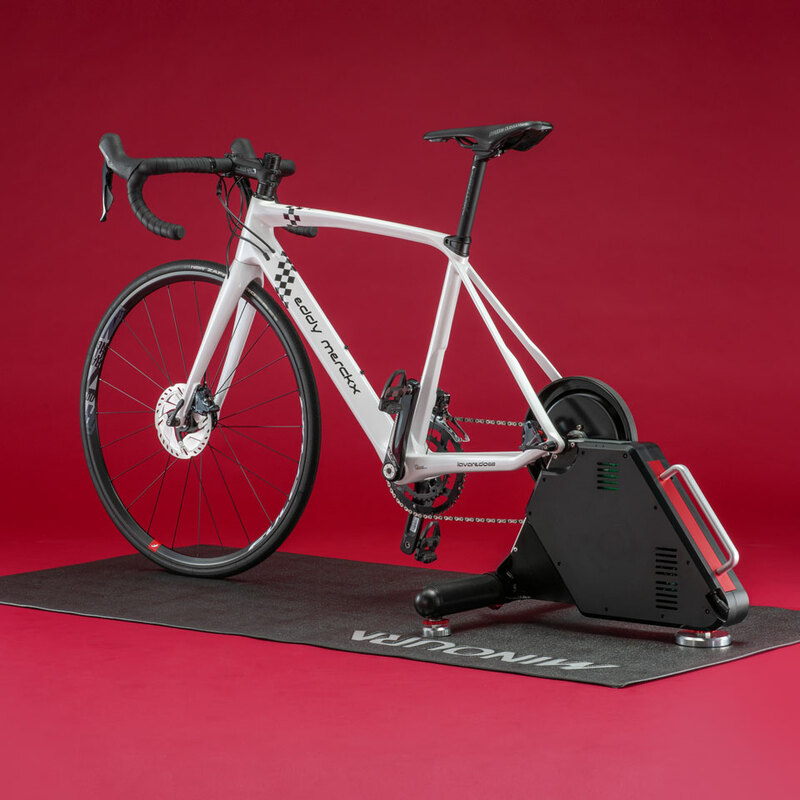 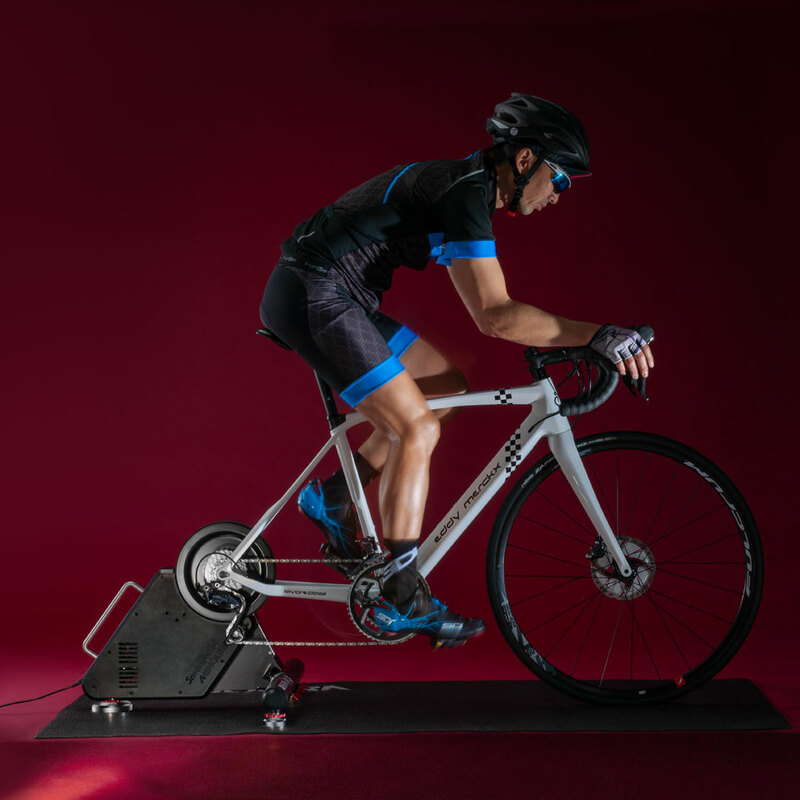 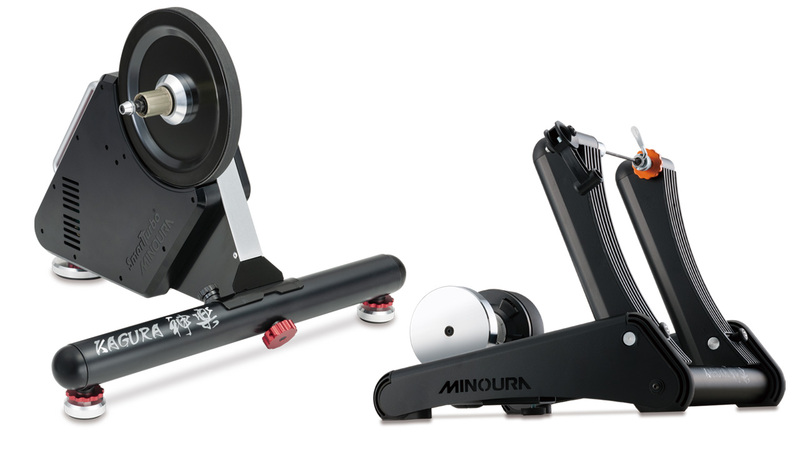 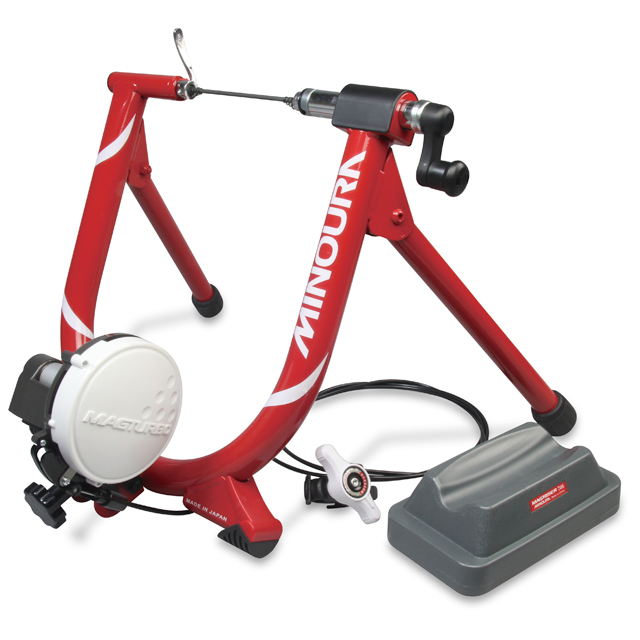 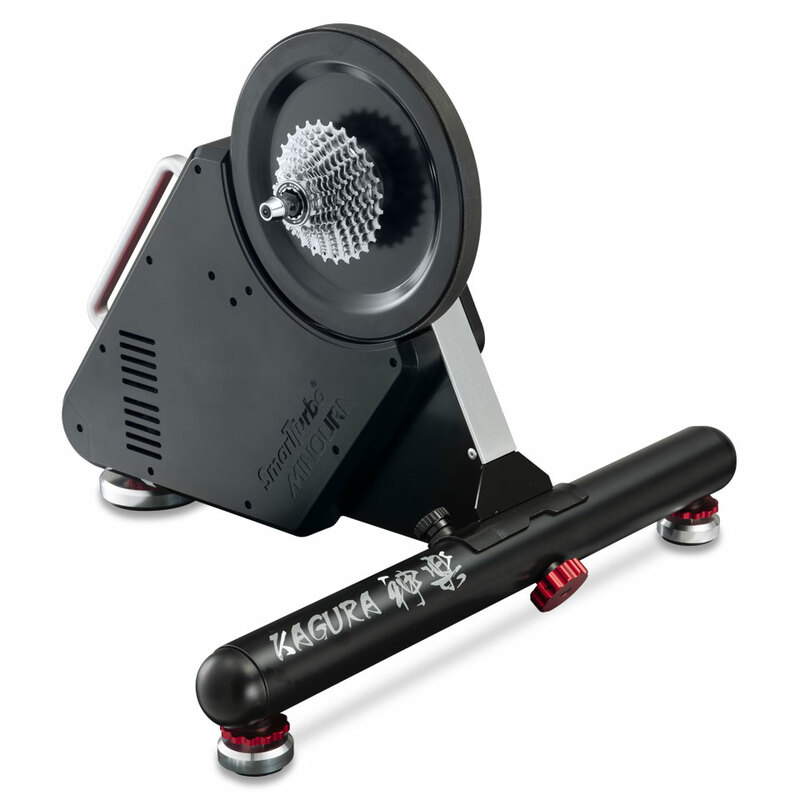 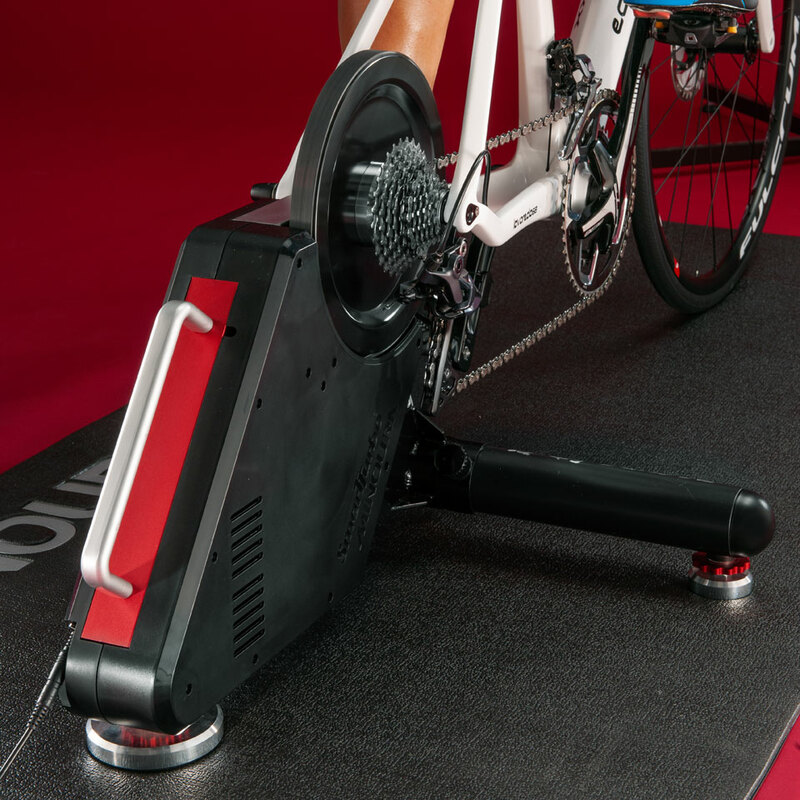 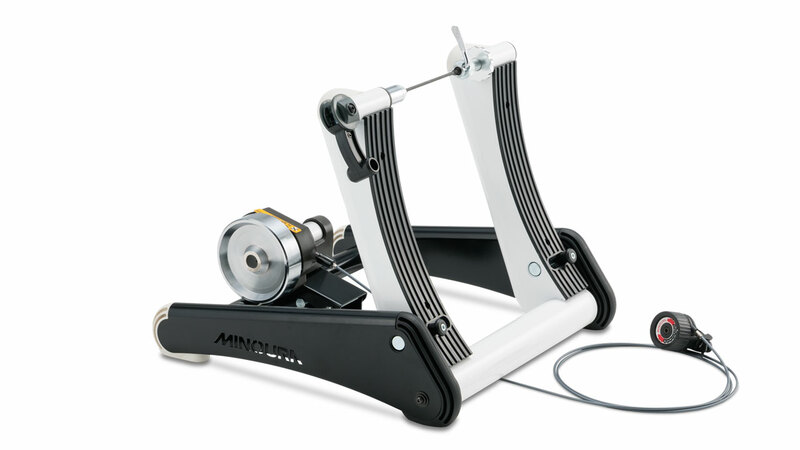 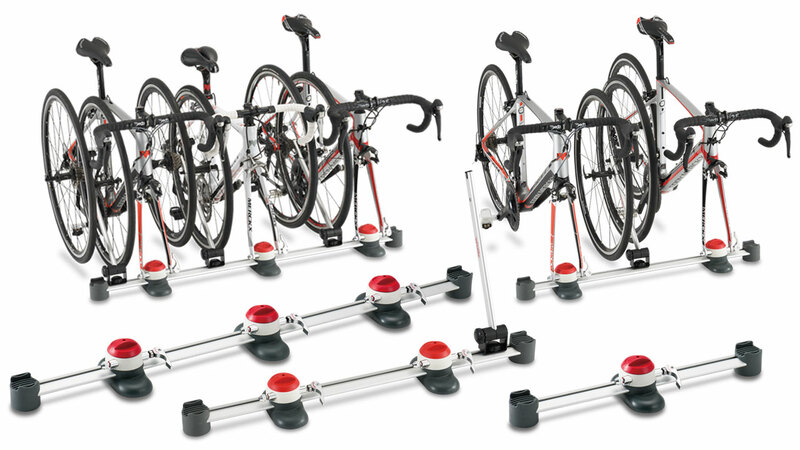 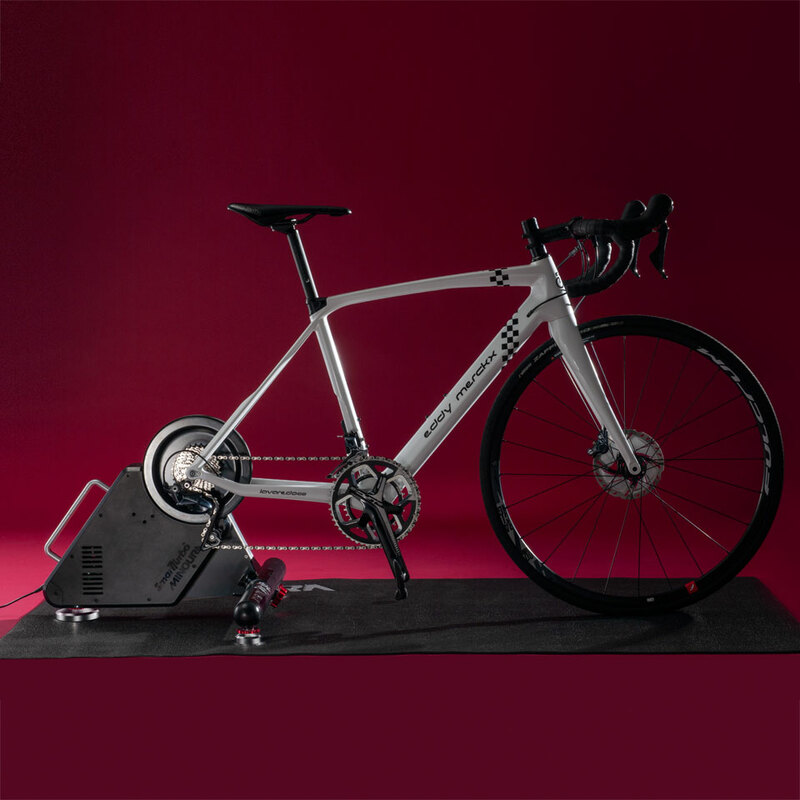 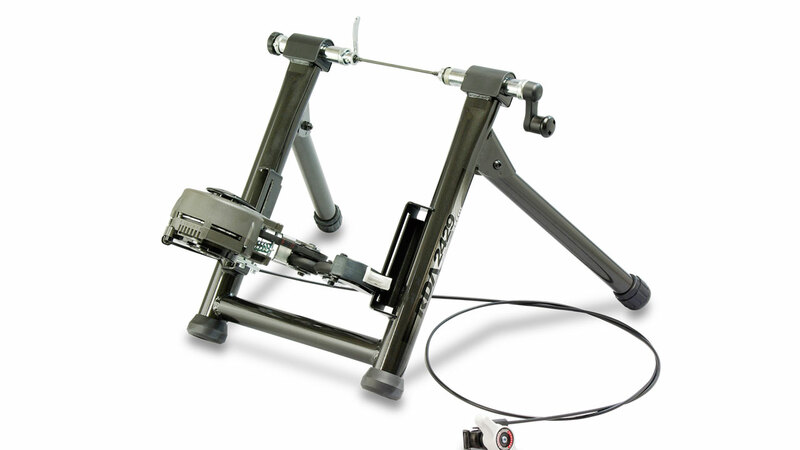 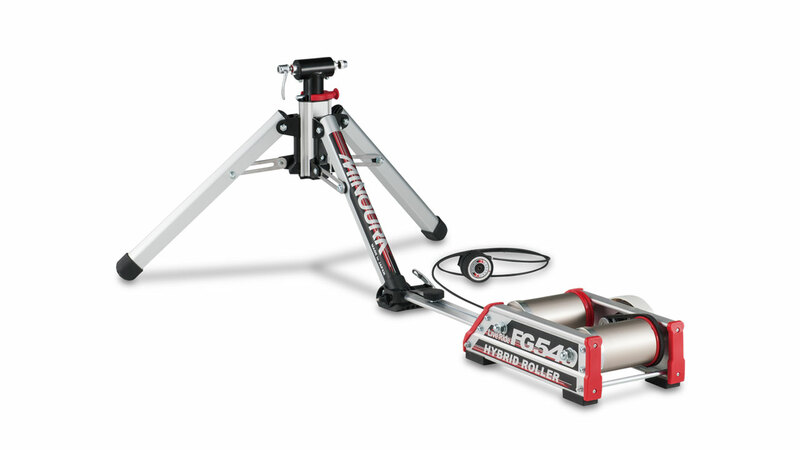 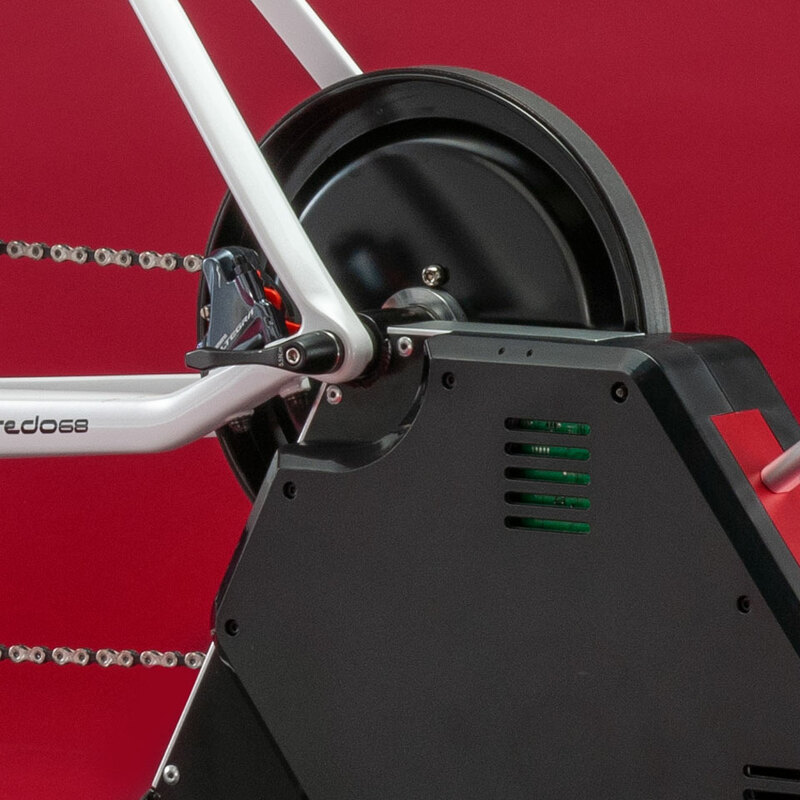 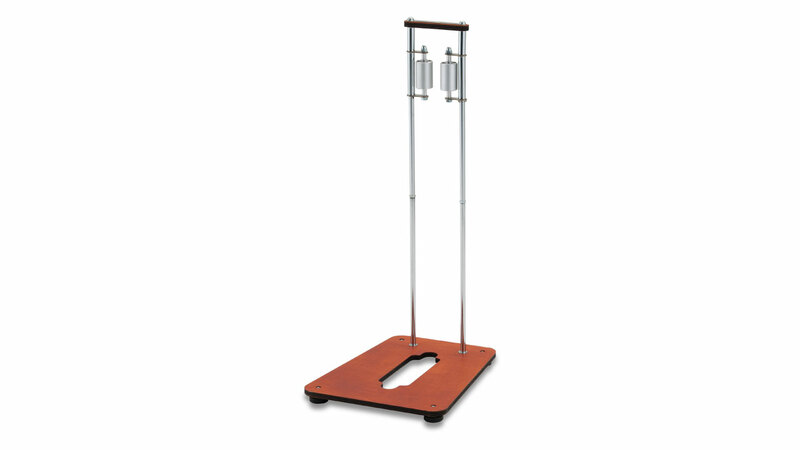 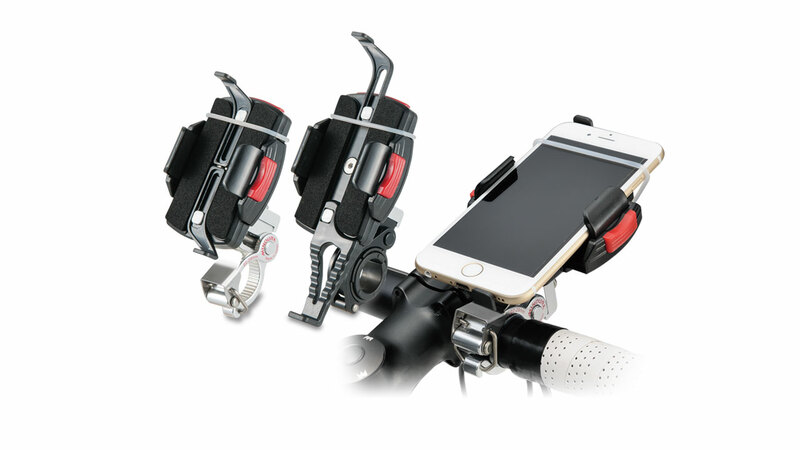 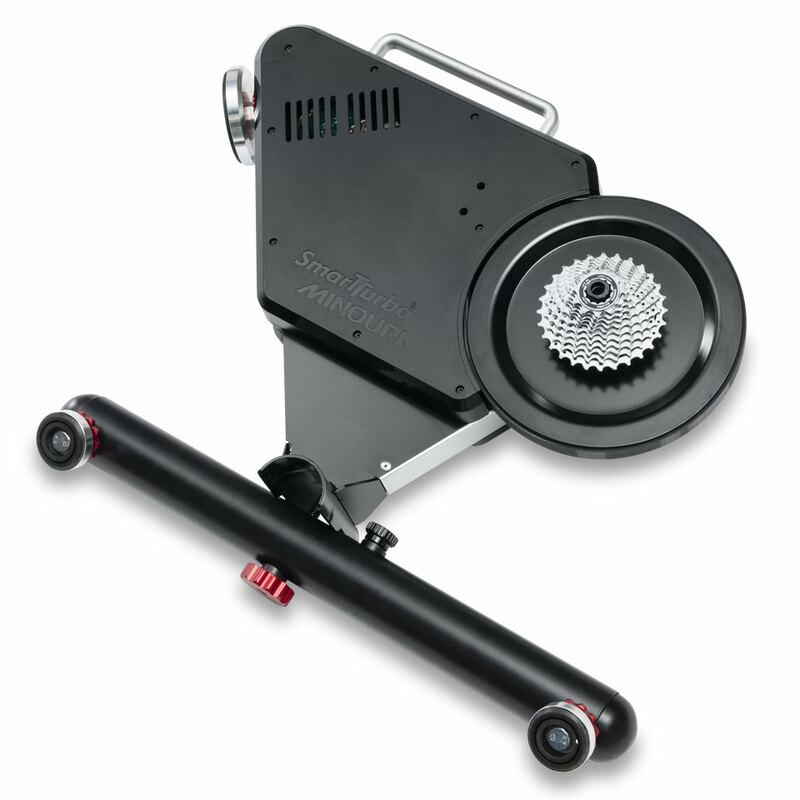 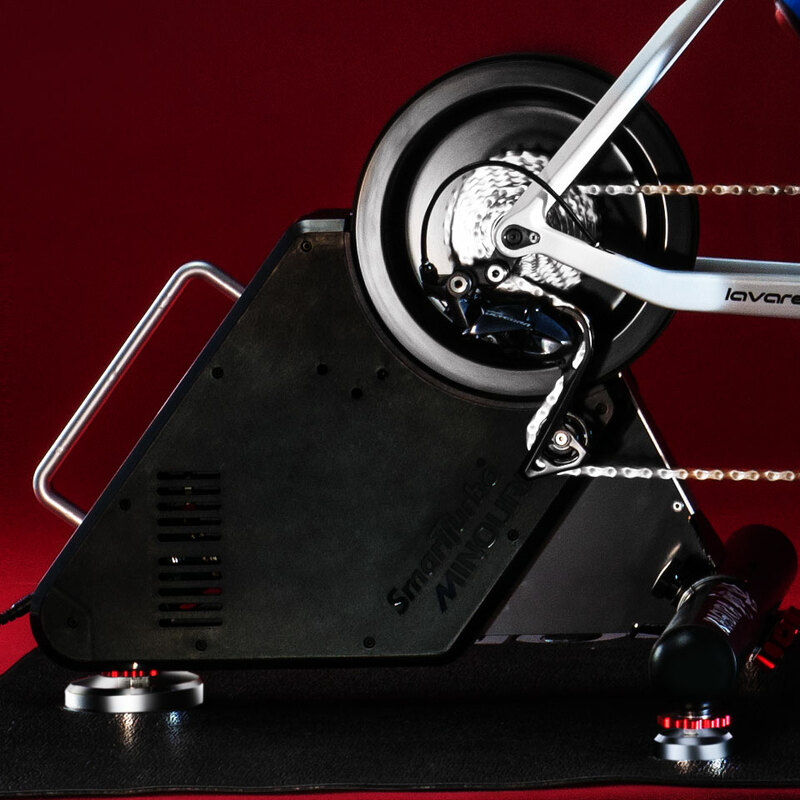 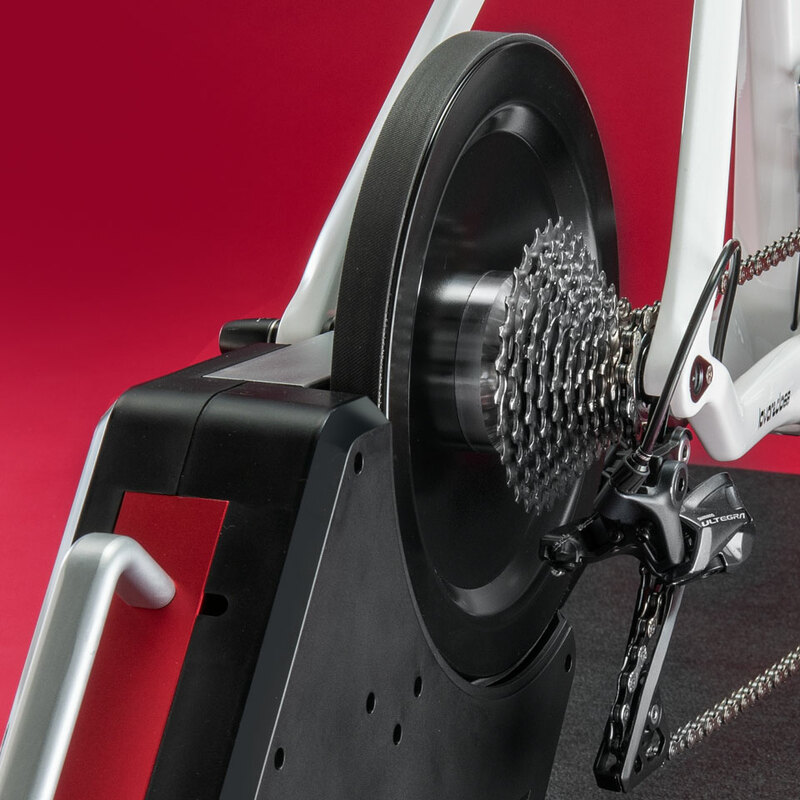 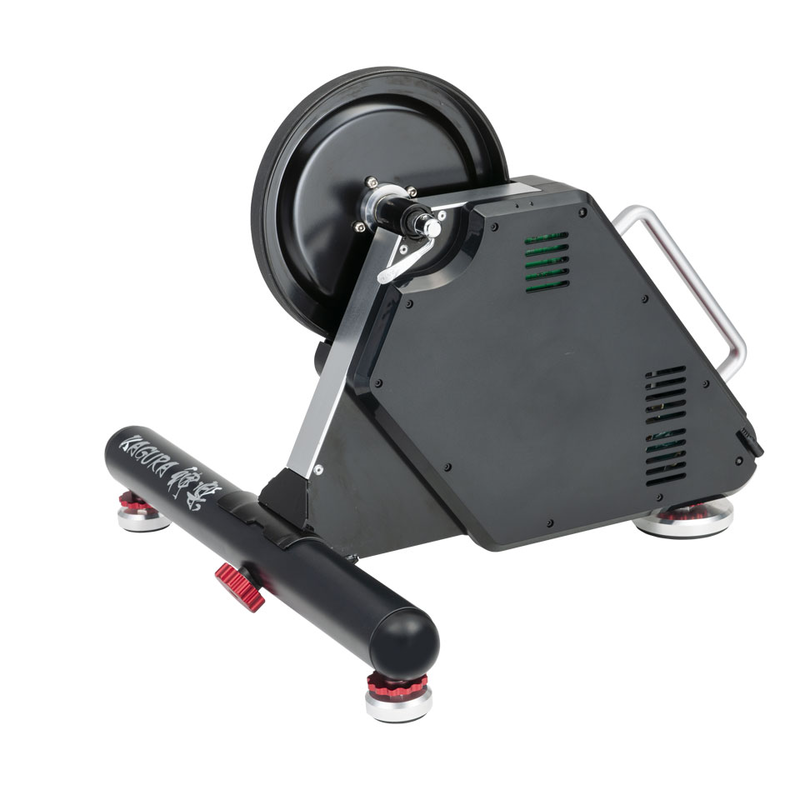 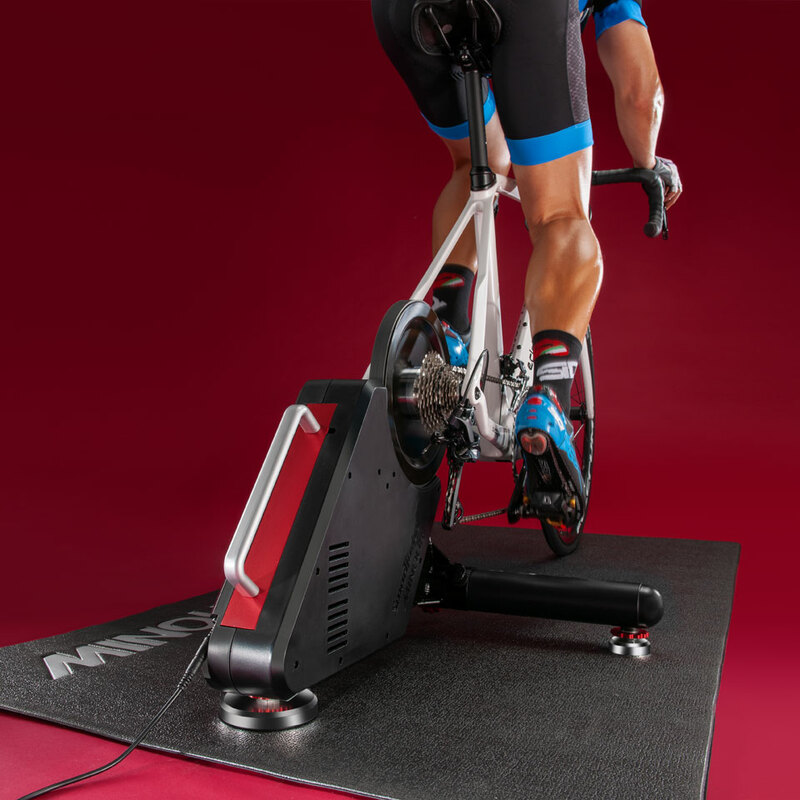 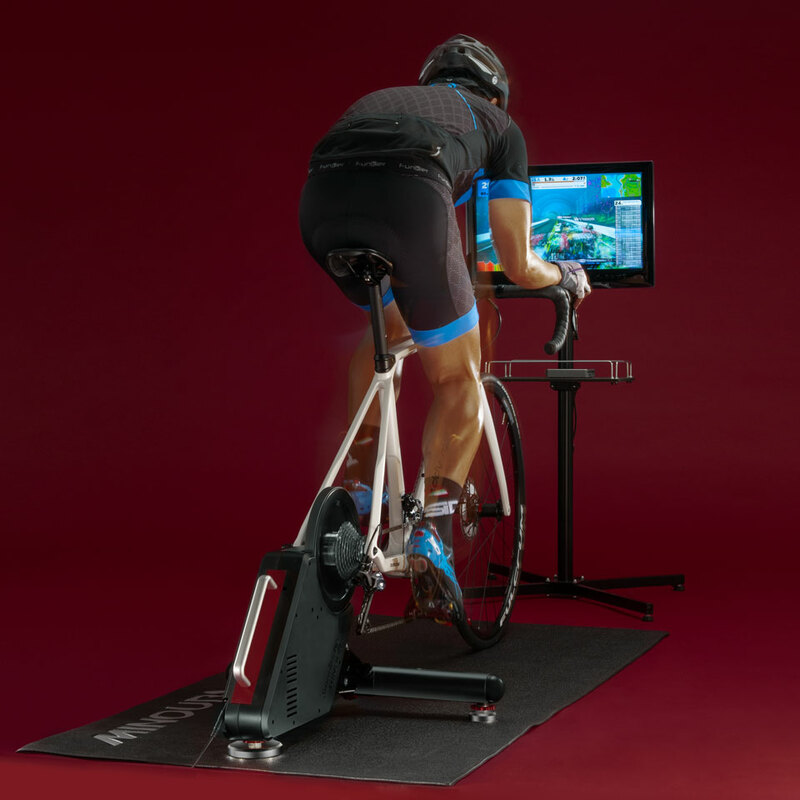 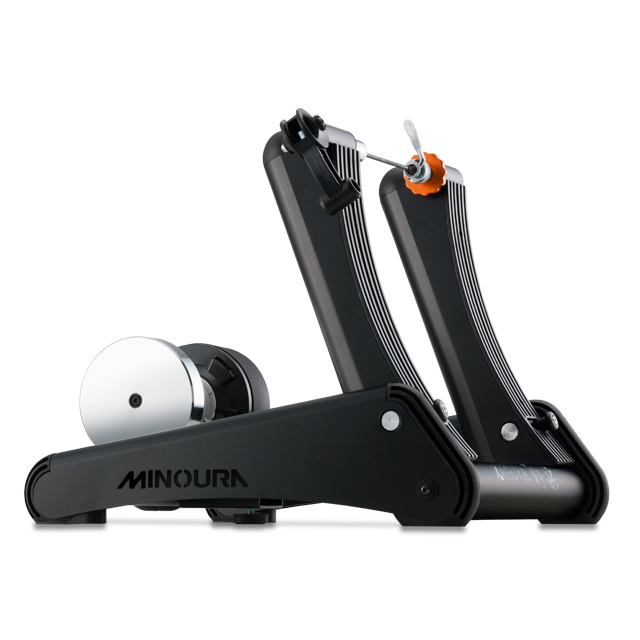 The precisely tuned resistance unit eliminates all the noise and vibrations usually associated with indoor trainers and provides a very smooth and quiet training session any time. 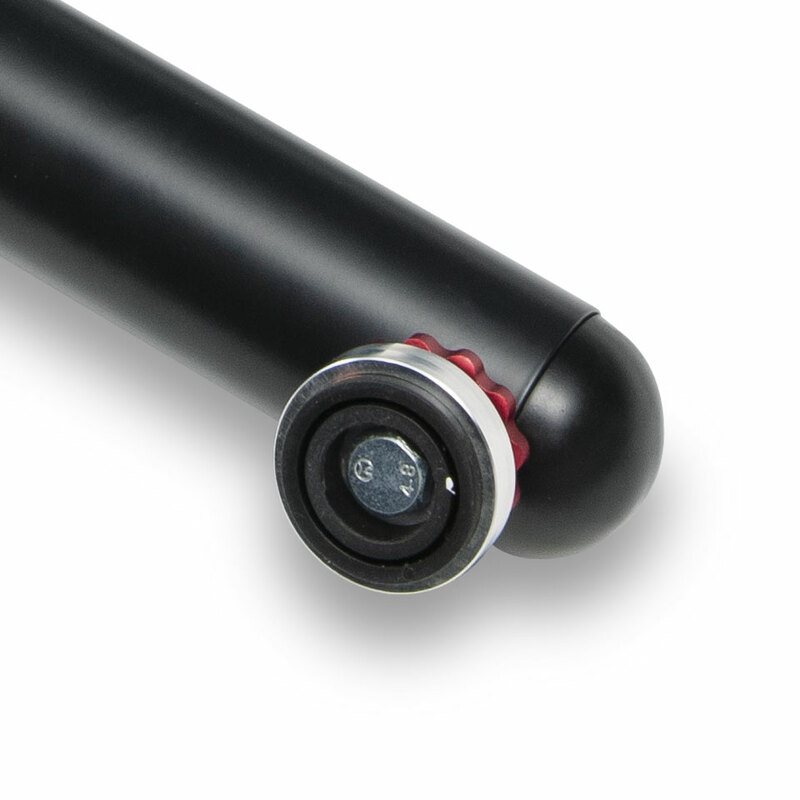 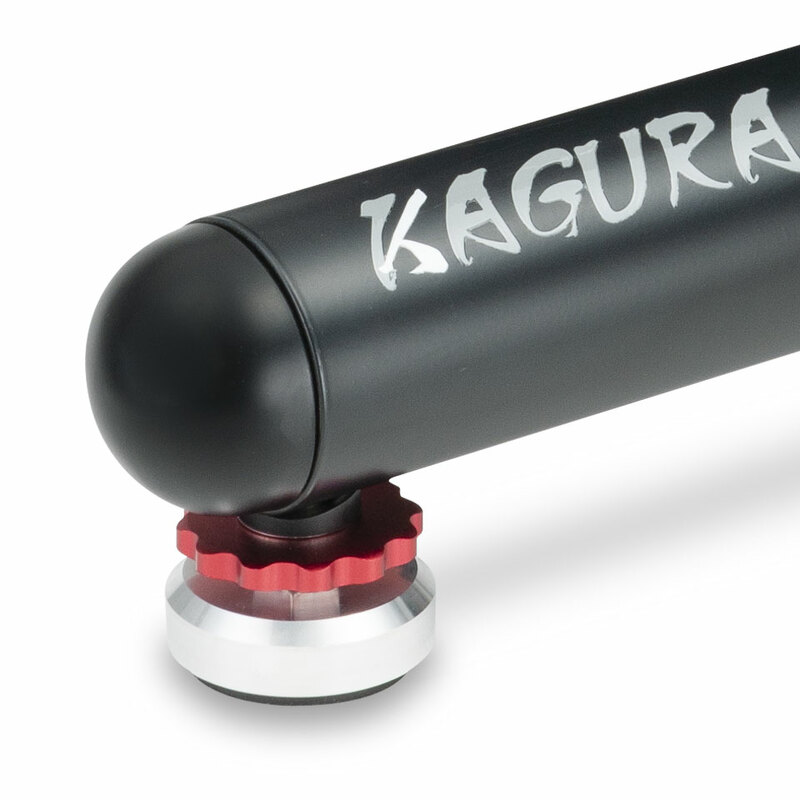 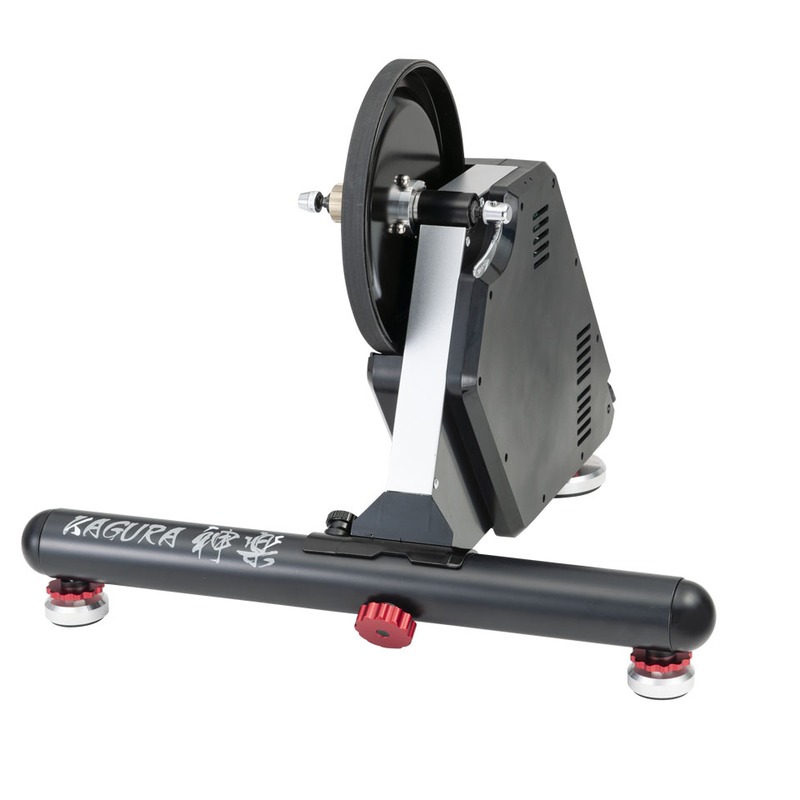 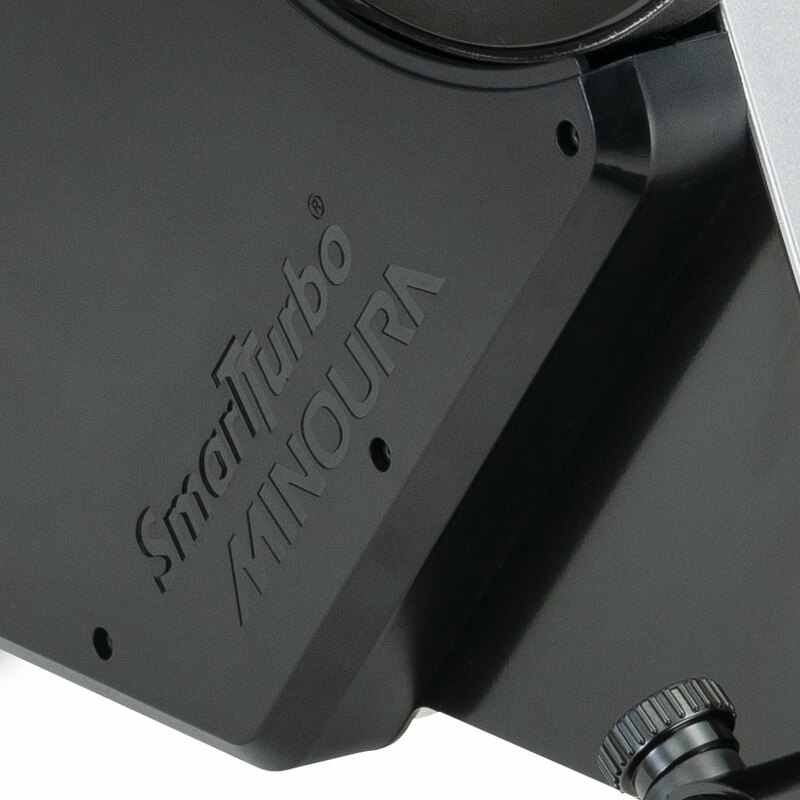 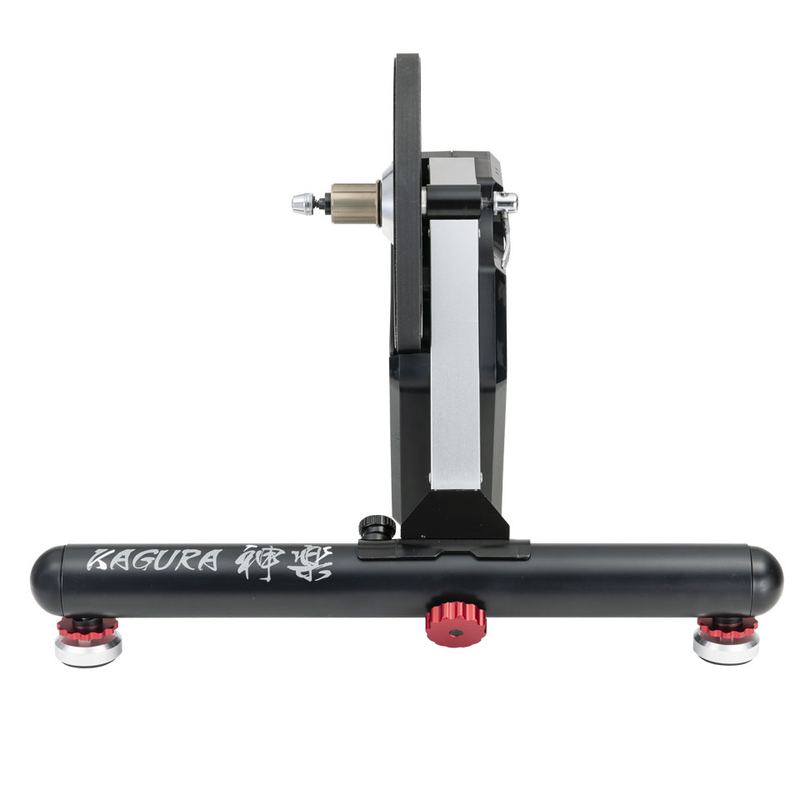 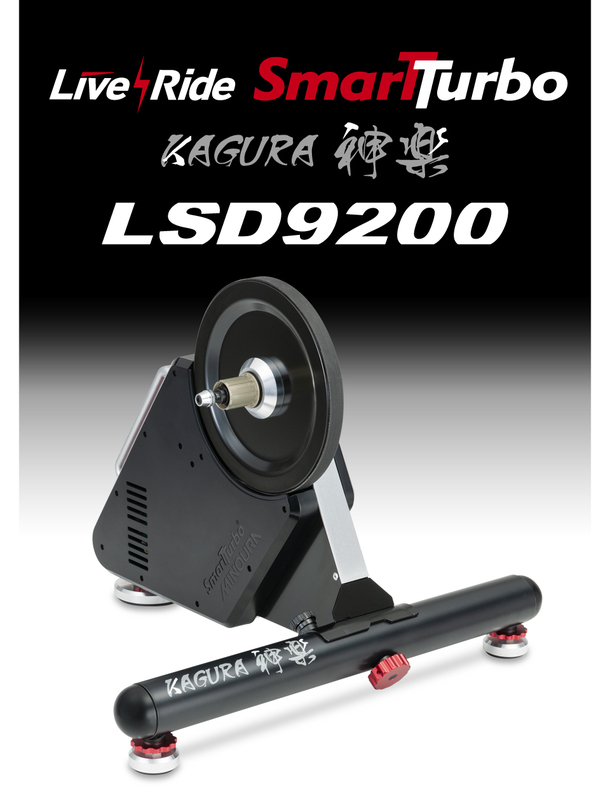 The SMART unit on the Kagura LSD9200 is Ant+, Ant+ FEC, and Bluetooth 5.0 compatable and supports all wireless protocols. 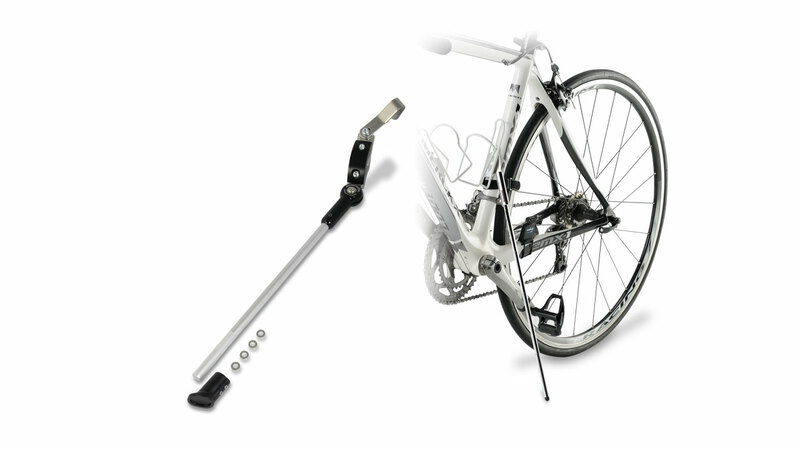 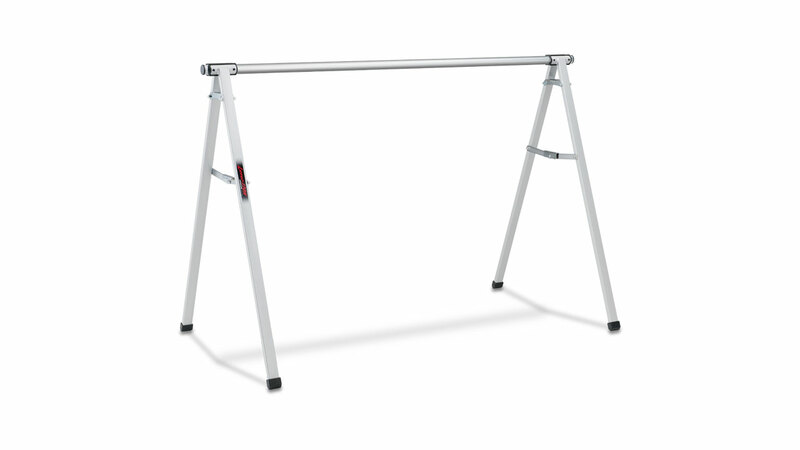 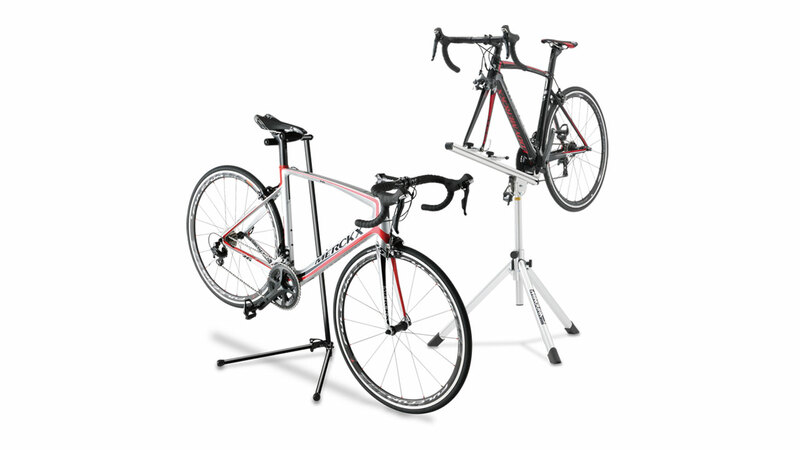 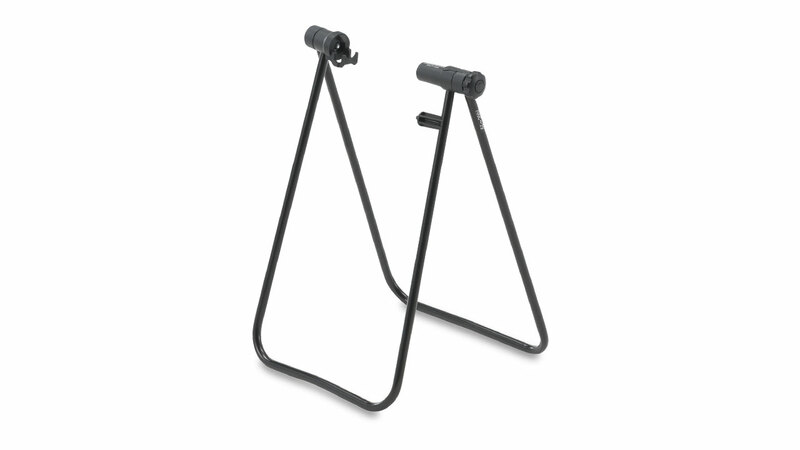 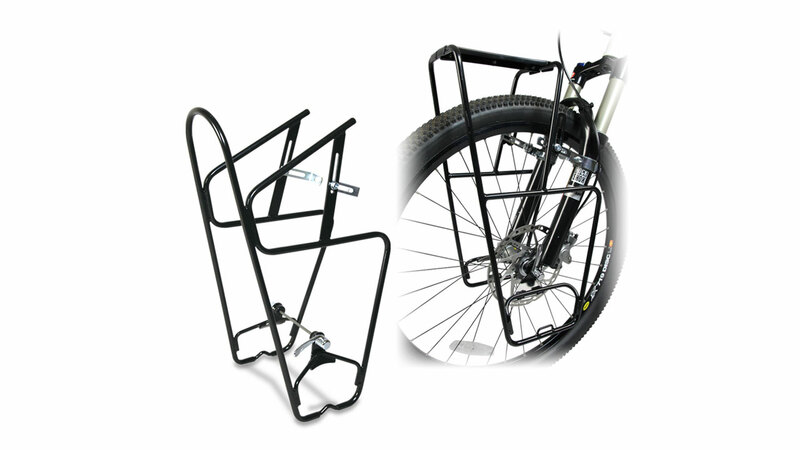 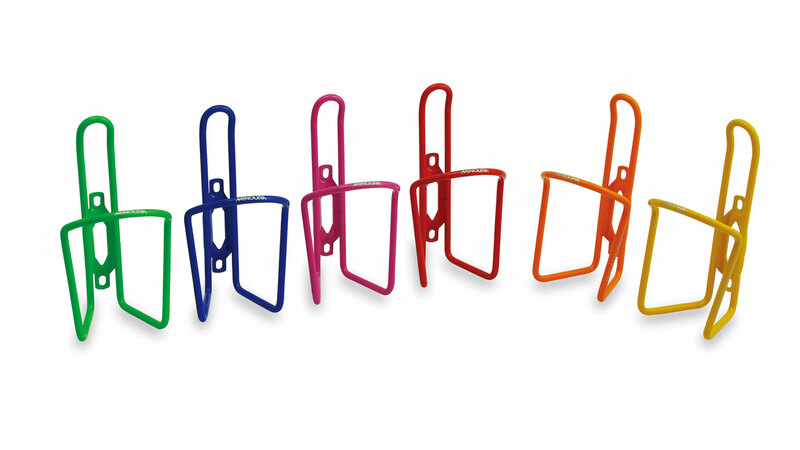 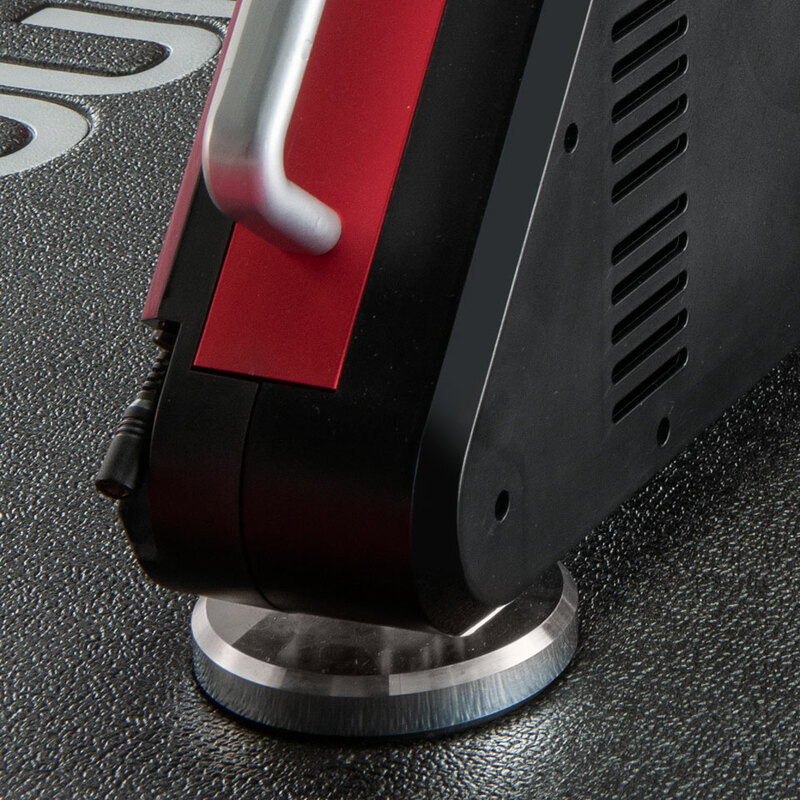 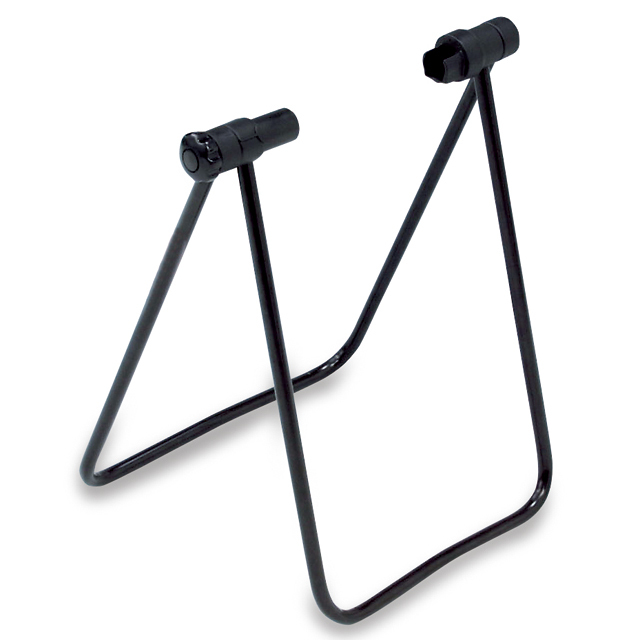 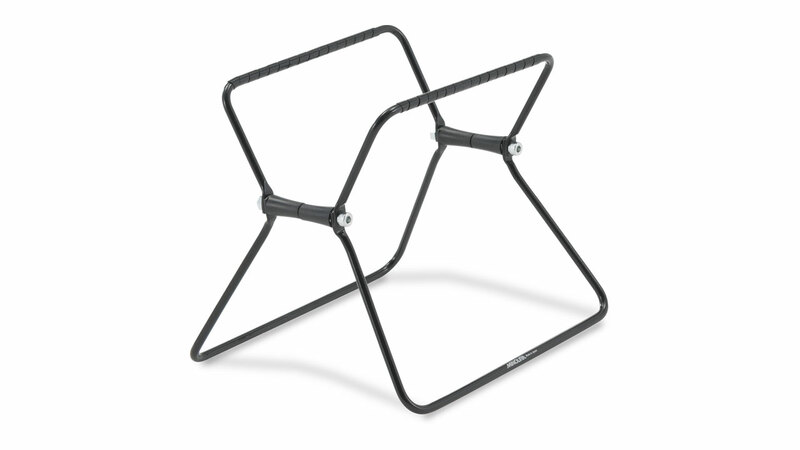 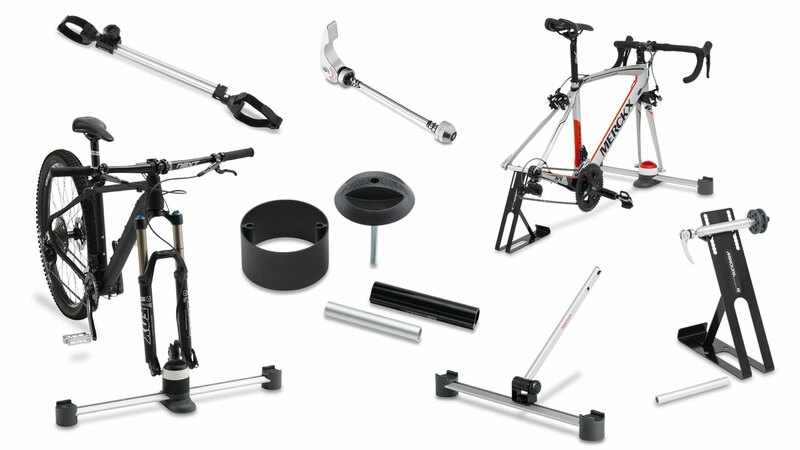 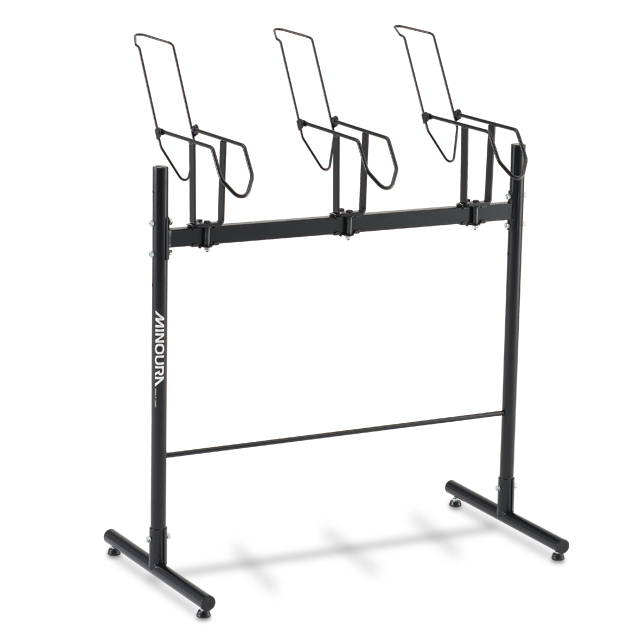 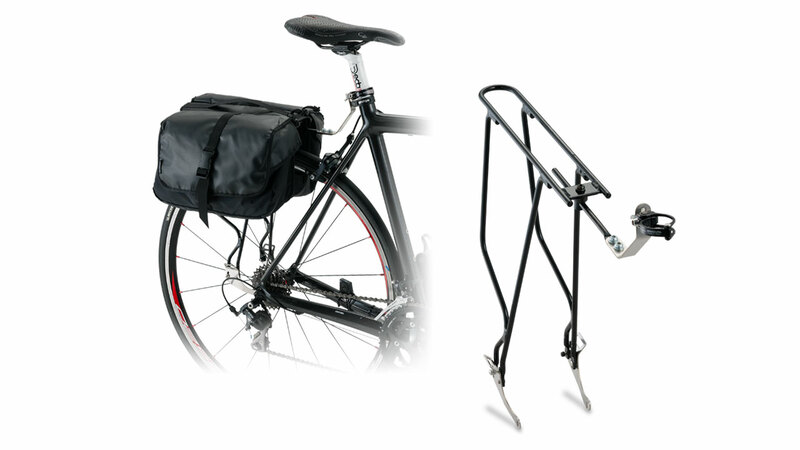 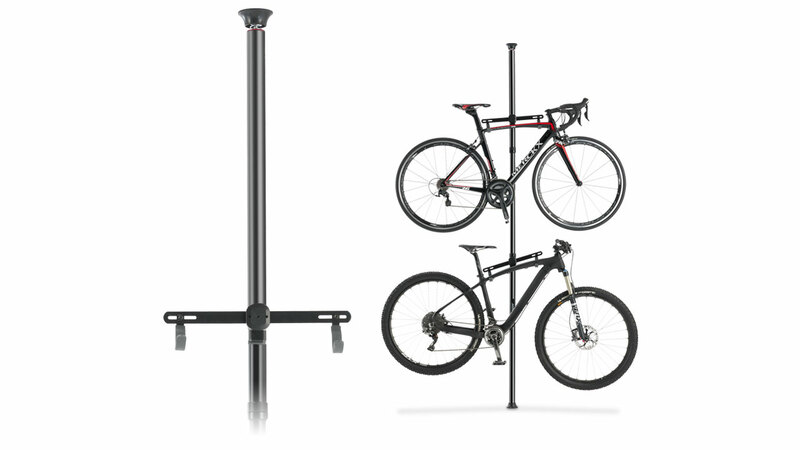 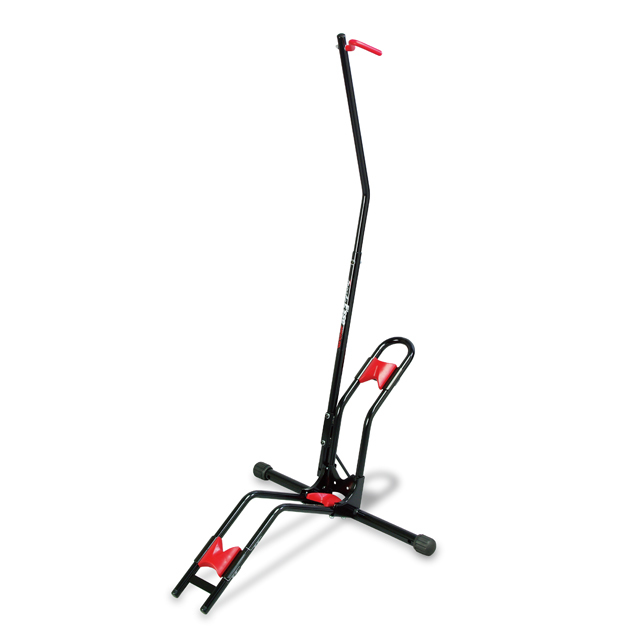 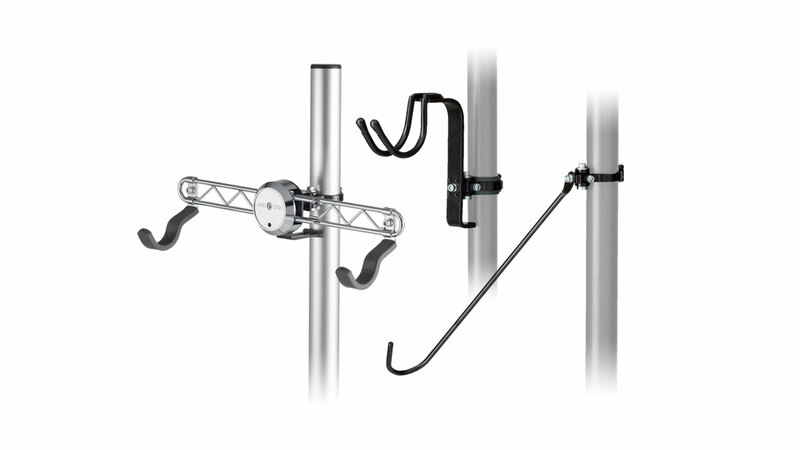 Step bar allows unit to be folded down for easy storage. 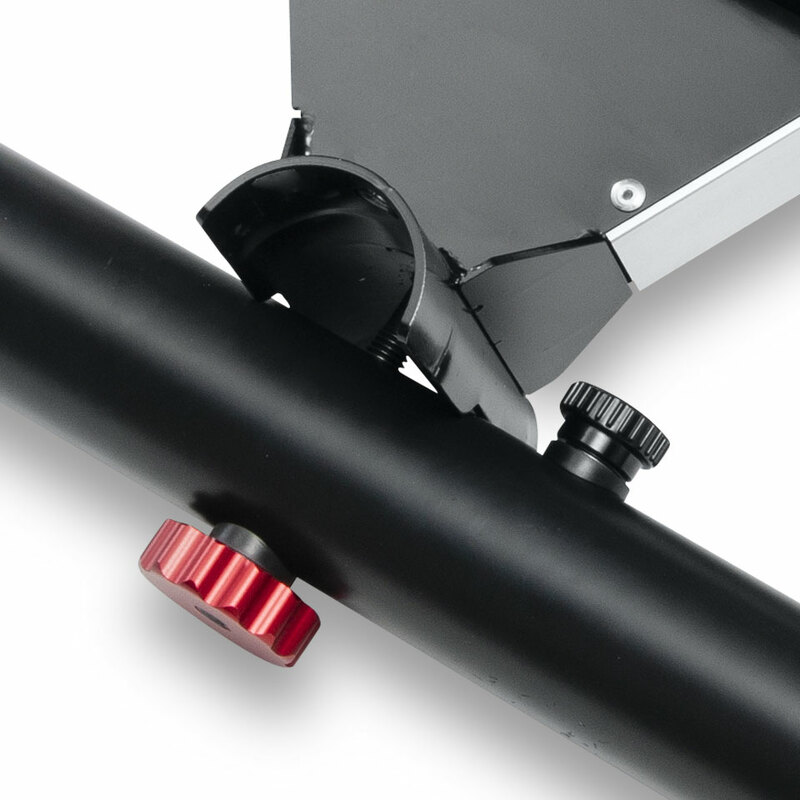 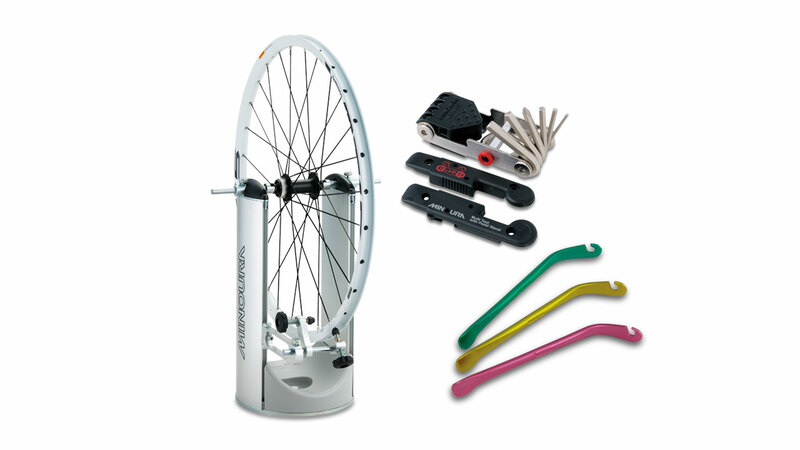 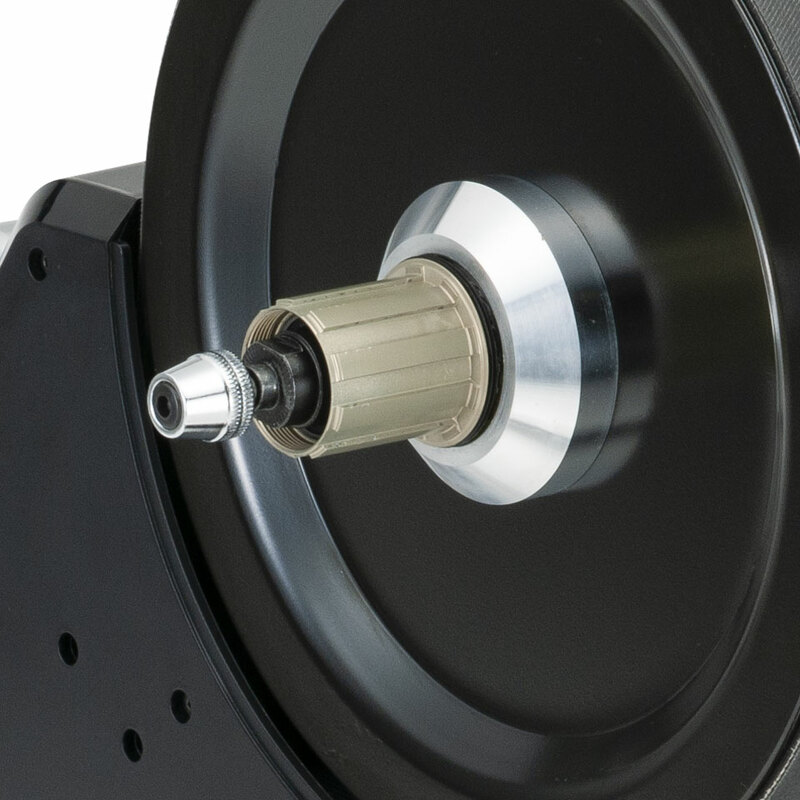 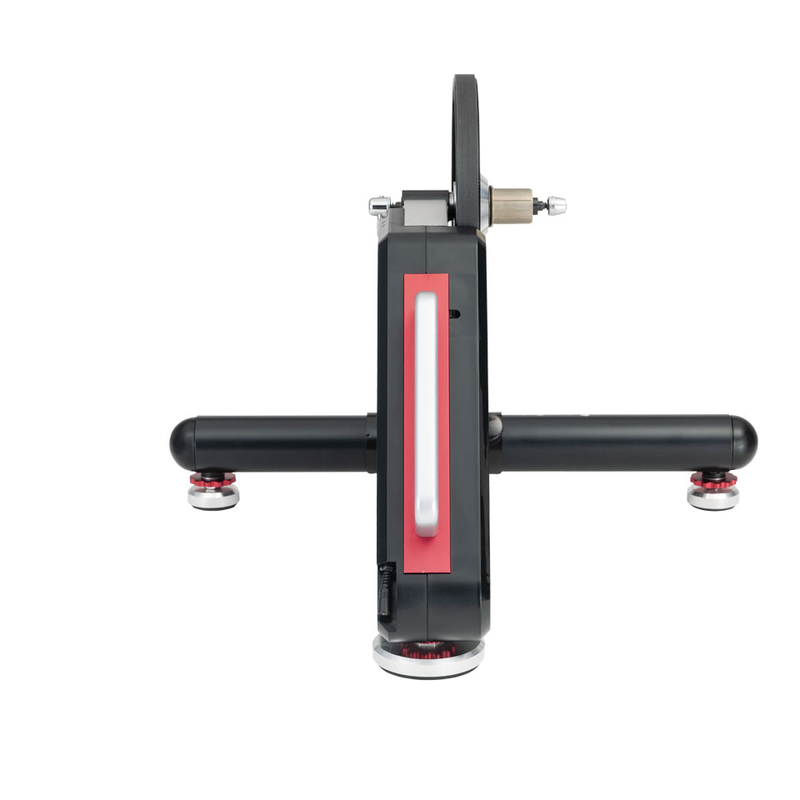 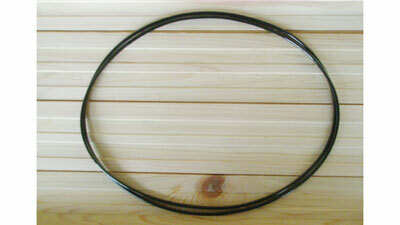 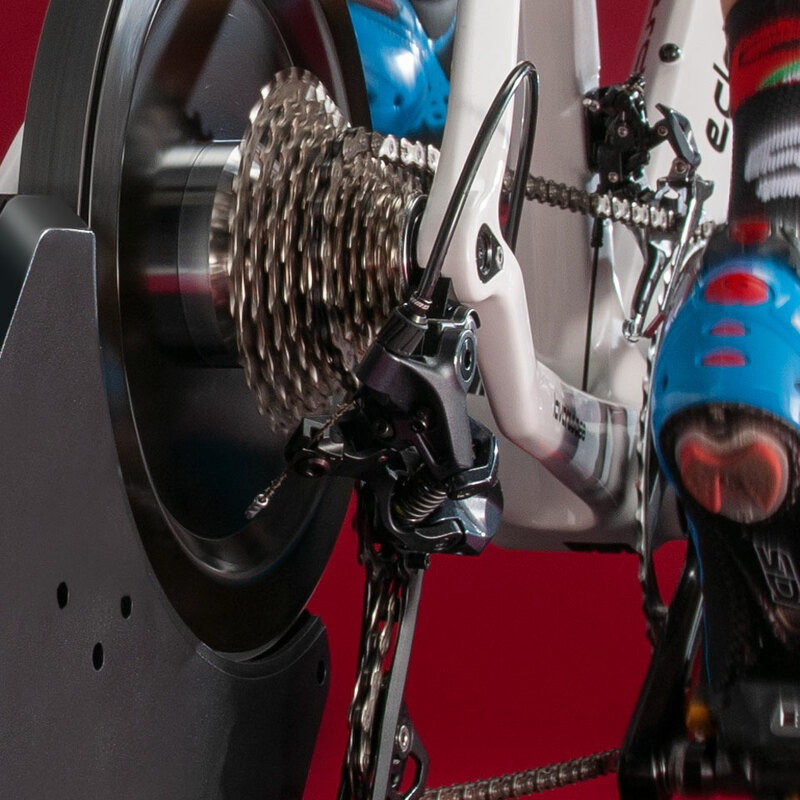 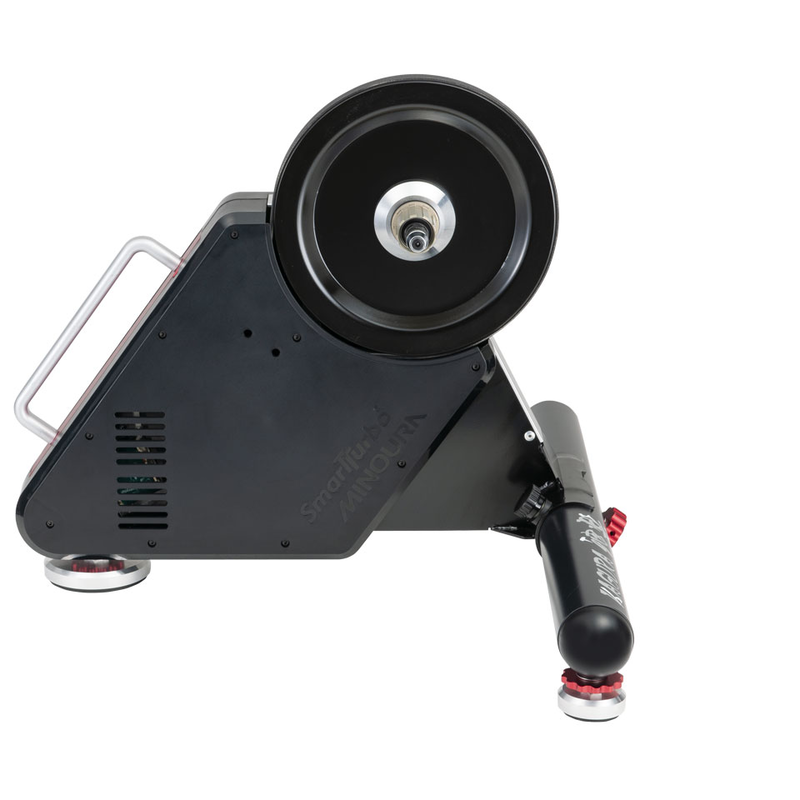 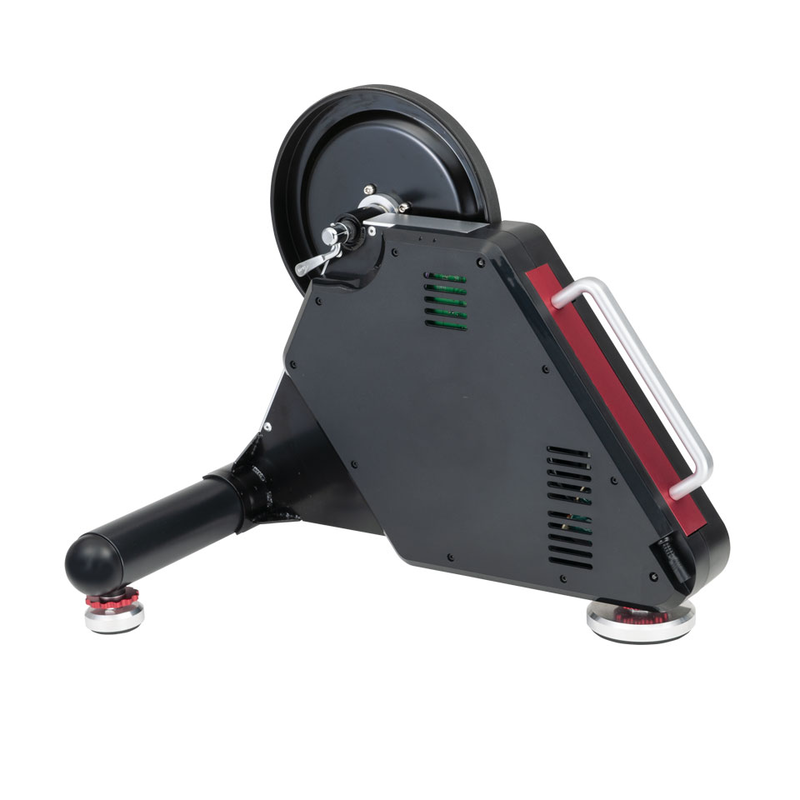 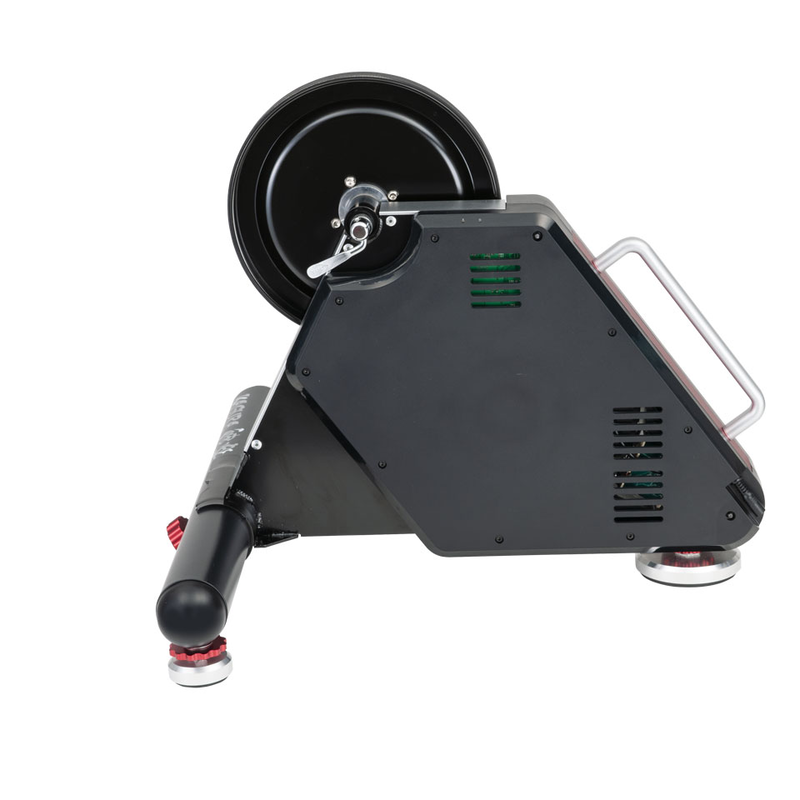 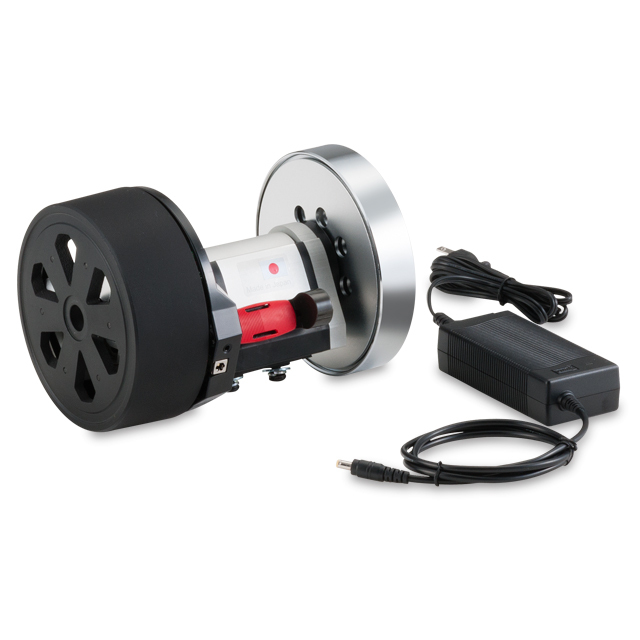 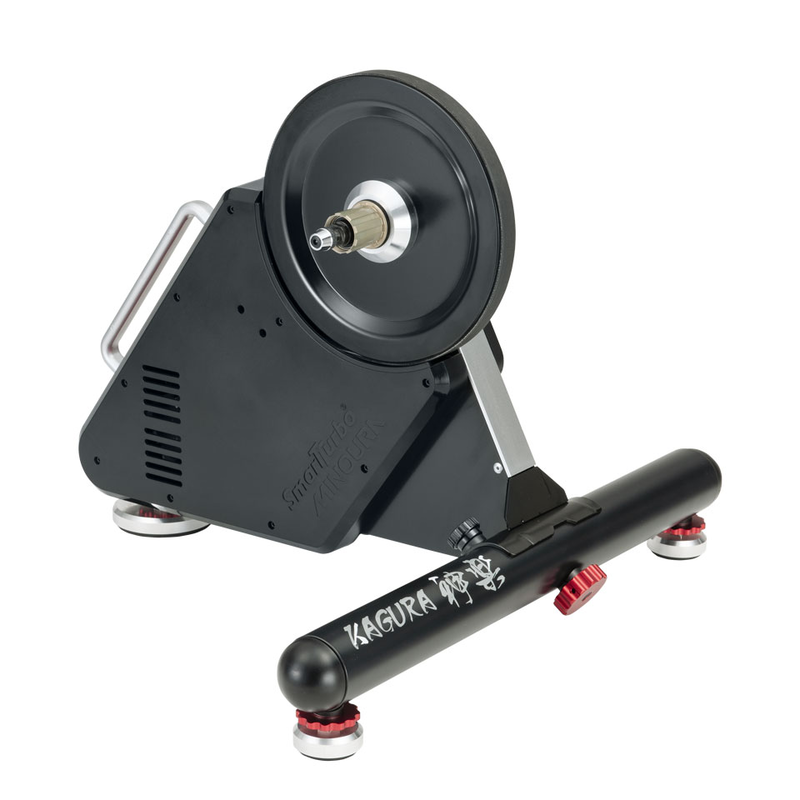 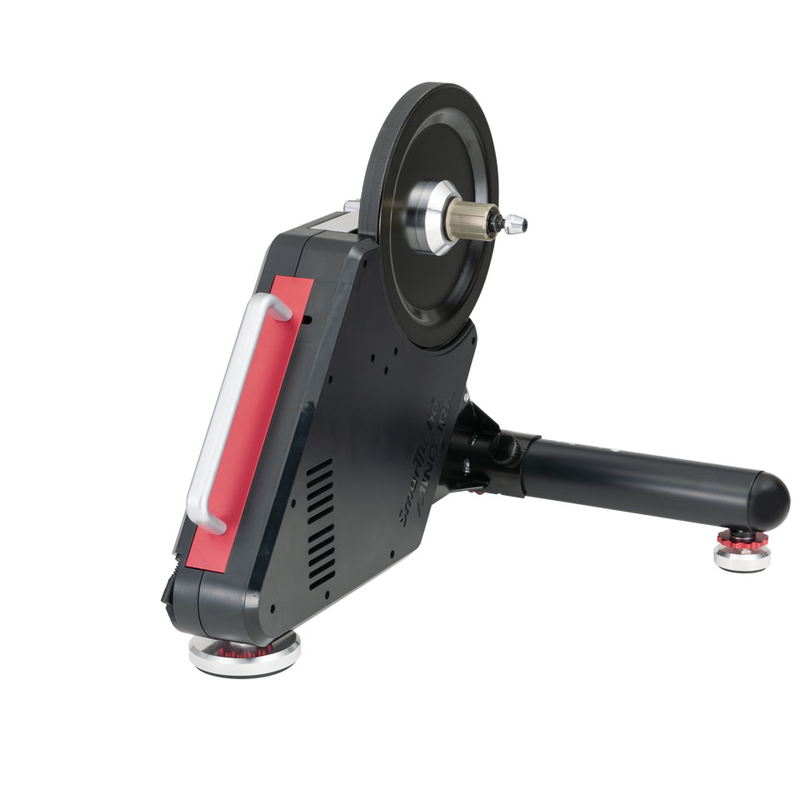 The 10 kgs fly wheel is among the heaviest in the industry and provides a smooth, balanced feel. 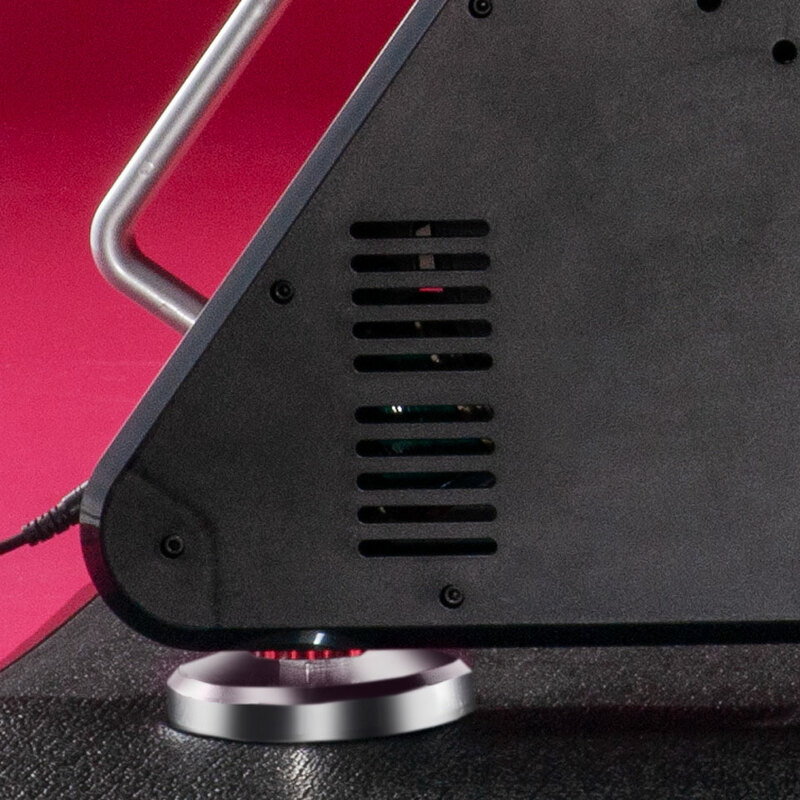 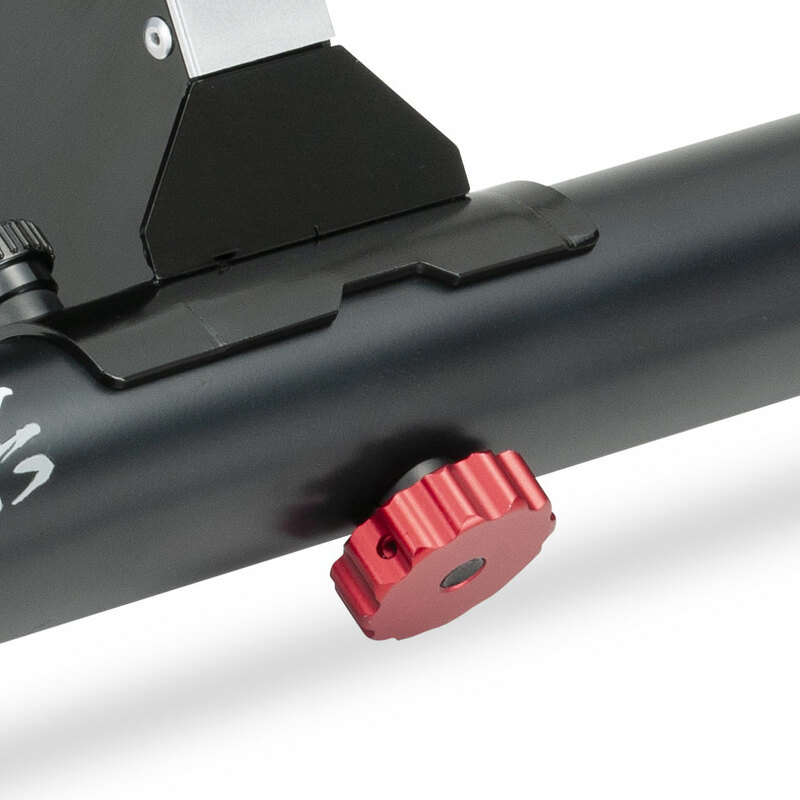 To help further reduce vibration a seismic isolator is included on the back side of the foot adjuster. 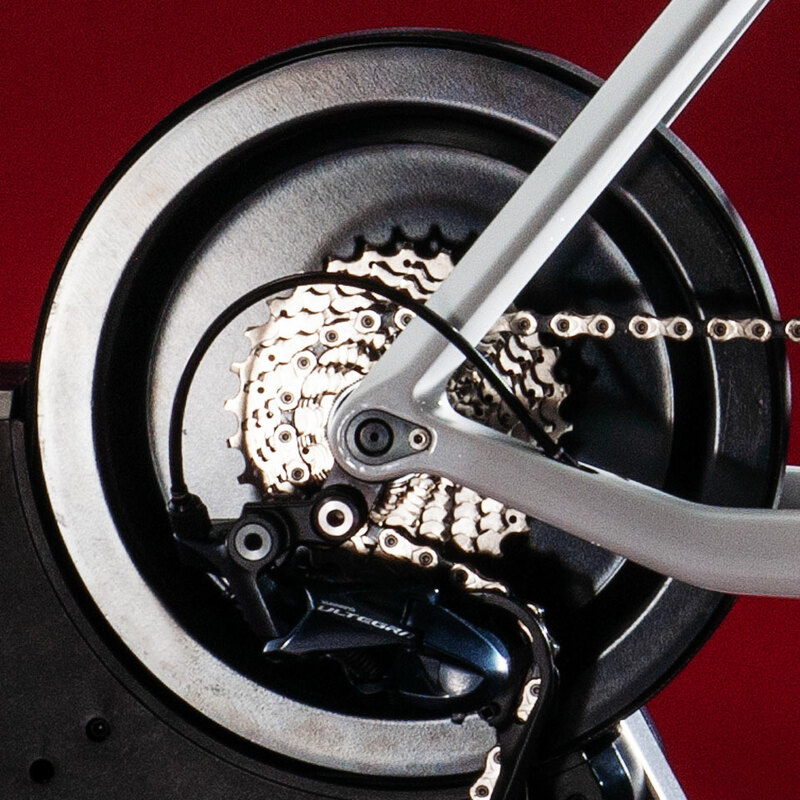 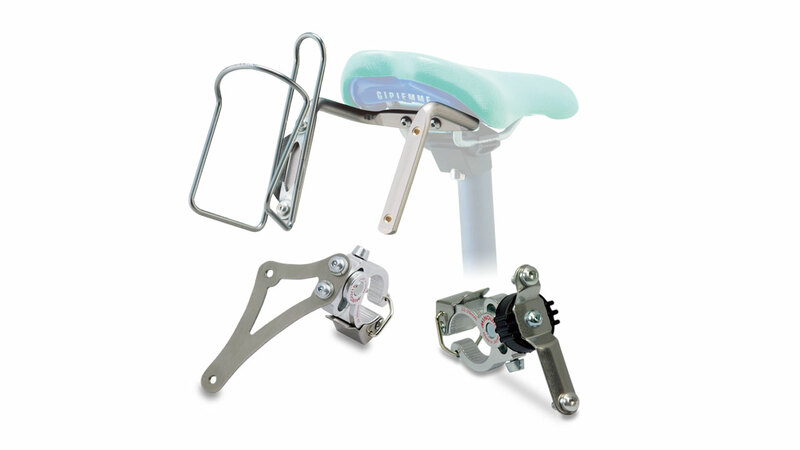 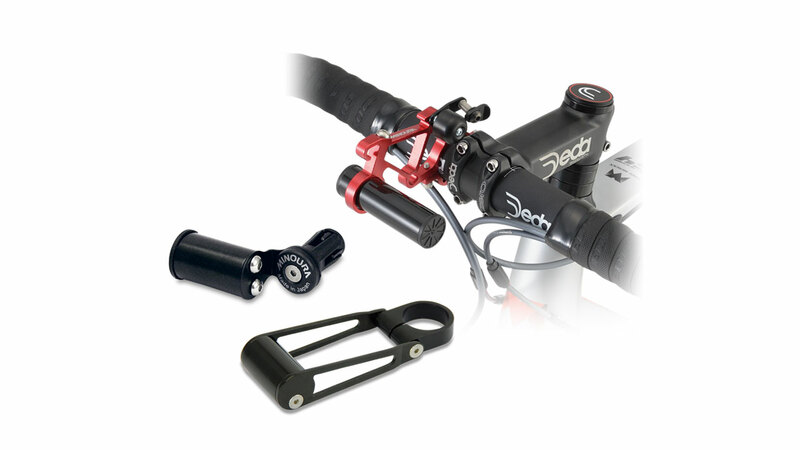 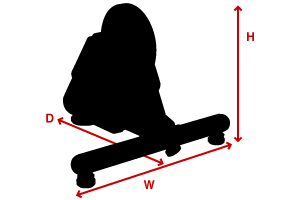 Horizontal dropouts (such as Piste/FIXI) are not supported.